Bruce Stewart, NTMN President, provides a first-hand account of the 2018 Annual State Conference. In addition to several great observations, he details the impact the NTMN chapter has had on other chapters, from our project entries to our presentations. Some exciting news is headed our chapter’s – and our region’s – way. Read Bruce’s article for more! 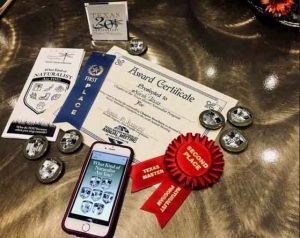 Just some of the NTMN awards won at the 2018 Annual State Conference in Georgetown, TX. On December 5, 2018, we’ll be having our end of year celebration during our December monthly meeting time. Once again Texas Discovery Gardens will be hosting us, and our agenda is full of the usual fun. TDG opens at 5 pm, dinner is provided, and the event should conclude by 8:30 pm. Free for members, and $15 for guests (please pay at the door). Among other Master Naturalist things, we will welcome new members and you can also pick up your certification pins. If you want to pay your 2019 membership dues ($30), you can also do that at the door in cash or check, or, you can pay by credit card via PayPal. Please note: The date to RSVP has passed. Spread the word. The North Texas Chapter is accepting applications for the Class of 2019 through Friday, November 30, 2018. 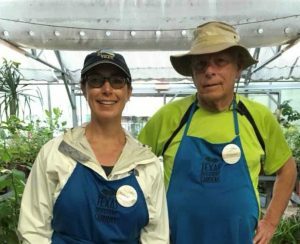 If you know someone who is passionate about the natural world and is ready to volunteer for nature, please let them know about the class. With thirteen sessions covering local ecosystems, and the flora, fauna, weather and geology of North Texas, the class begins on February 5, 2019 and concludes on April 30, 2019. In addition to Tuesday evening in the classroom, three weekend field trips will cover aquatic, forest, and prairie ecosystems. Master Naturalist certification requirements include completing classroom and field trip requirements, volunteering 40 hours at approved nature-related projects and attending 8 hours of approved advanced training. The application is available on ntmn.org. Follow the “How to Join” link on the right-hand side of the screen under the “Want to Be a Naturalist?” heading. Click here to see some photos from our 2018 Spring Class photo album. Our first plant rescue at Becks was a success! Click here for the Becks Prairie Plant Rescue photo album. NTMNs working at Becks Prairie. 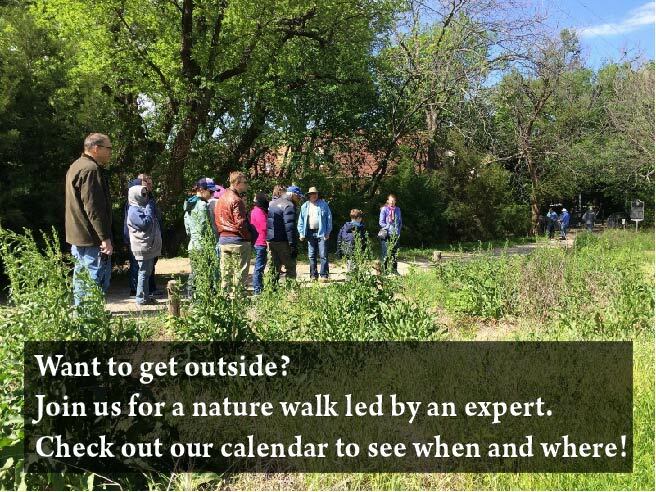 North Texas Master Naturalists joined efforts to successfully complete a wonderful project at Harry S. Moss park in Dallas. Click here for the Fall 2018 Big Chapter Project photo album. The Junior Master Naturalist Program is growing! NTMNs and the Perot Museum of Nature and Science launched the program in September 2015, and it has quadrupled in size! Related: Click here for the 2018 Coppell Junior Master Naturalist photo album. One of the goals of the class was to reverse the decreasing volunteer hours in our southern Dallas county projects. In 12 weeks, our fall class has stepped up in multiple ways and they’re not done yet. Click here for the Fall Class photo album. Jennifer Weisensel is passing The Dragonflyer torch to 2018 Class Member Dorothy Buechel. Jennifer asks some questions of Dorothy to help you get to know her better. Dorothy Buechel and her father, Ted Bauman. Both are NTMNs from the class of 2018. Now Calling All NTMN Videographers! Do you want to volunteer behind the video camera? In 2019, we’re looking to boost our video committee. Email us at videos@ntmn.org and let us know how you want to get involved! This is a fun and important Citizen Science project and the current project lead, Barbara Turner, would like to find another Master Naturalist to take on the lead role. Is it YOU? It’s been 4 years since we’ve completed a general membership survey and your opinion matters! Please take a moment to fill out this important survey. Meet your new 2019 Officers and Directors! Looking ahead to more chapter video content in 2019. Monthly meetings are usually held on the first Wednesday of each month starting at 6:30 pm and are always open to the public. Check ntmn.org for speaker announcements and location. 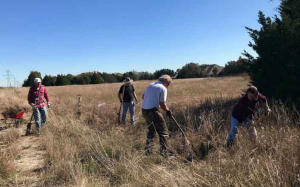 To develop a corps of well-informed volunteers to provide education, outreach and service dedicated to the beneficial management of natural resources and natural wild areas within their communities within the state of Texas.